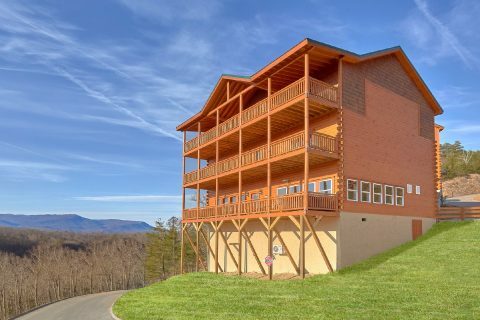 Located in the scenic Smoky Mountain Ridge Resort area, you'll find "Majestic Mountain Splash," an impressive 6 bedroom cabin rental that sleeps up to 17 guests! 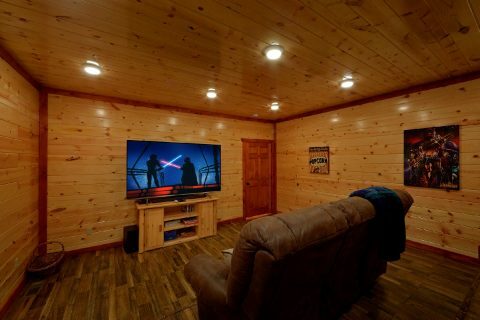 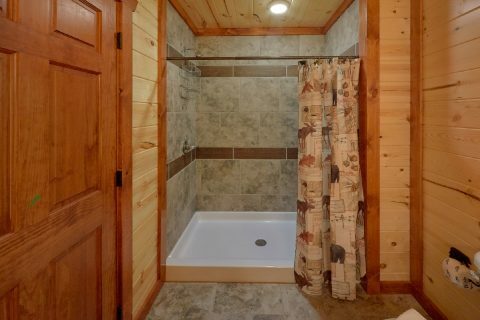 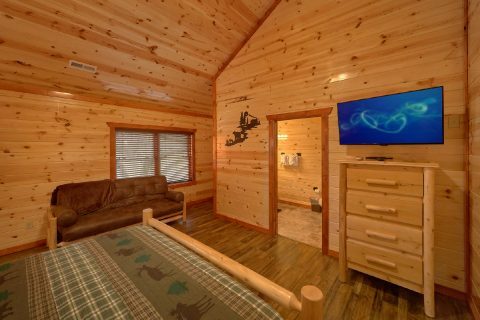 Not only does this luxurious cabin boast an indoor pool, a game room, a theater room, and outdoor resort pool access, but this rental also provides you with a great location that's only 5 miles from the Pigeon Forge Parkway! 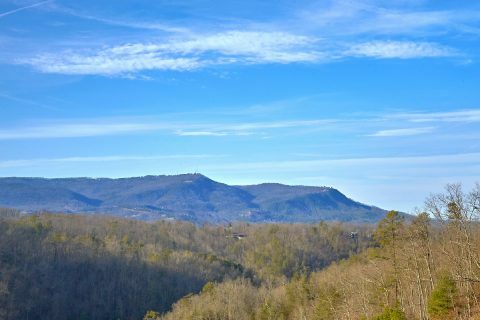 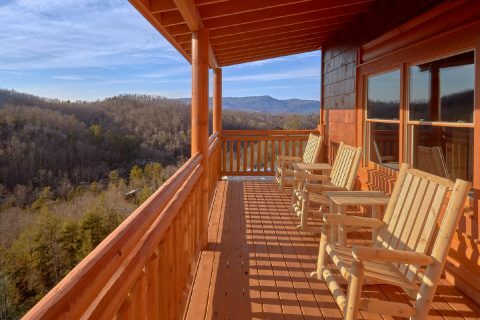 From this cabin's peaceful location just off of Wears Valley road, this rental keeps you close to the biggest attractions in the Smokies, including Dollywood, The Island, Downtown Gatlinburg, and even the Great Smoky Mountains National Park! 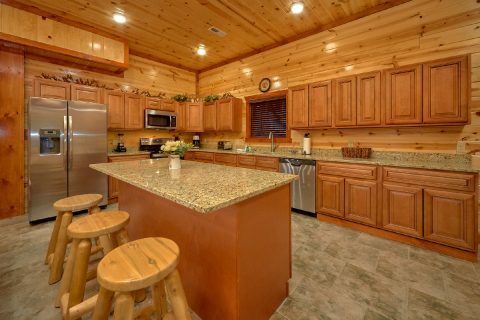 Step inside this luxurious rental and you'll find the perfect space for enjoying quality time with friends and family. 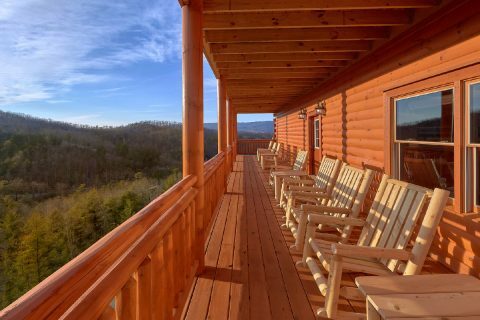 Additionally, this cabin provides nice mountain views, so you can truly unwind during your stay. 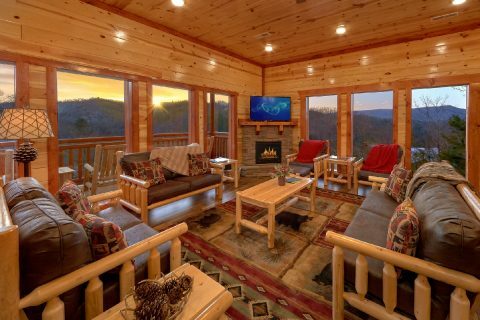 On the main level, the luxurious living area comes complete with an electric fireplace, a television, and comfortable furnishings. 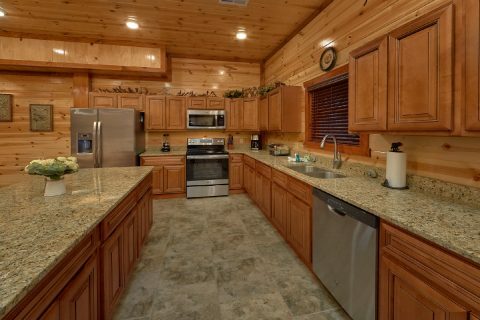 Nearby, your cabin's fully equipped kitchen provides everything you need to make delicious dinners during your stay. 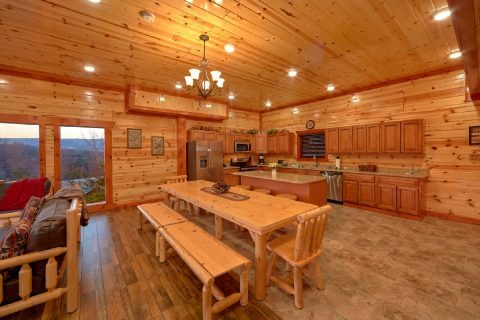 There's even a large 10-ft table in the dining area and a kitchen island with additional seating. 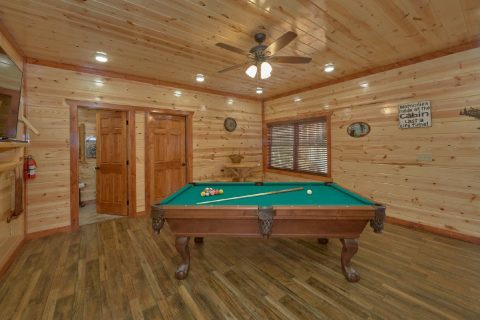 The main floor is also home your cabin's private indoor swimming pool, where you can enjoy a relaxing swim during any season! 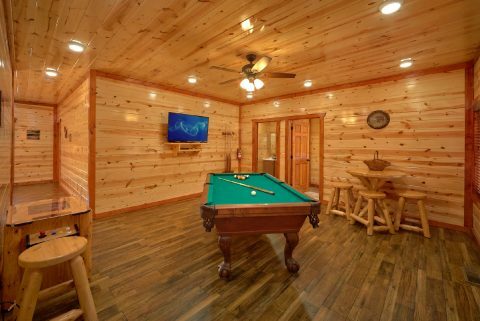 Upstairs, you'll find even more in-cabin entertainment in the game room that boasts a pool table, arcade game, and a television. 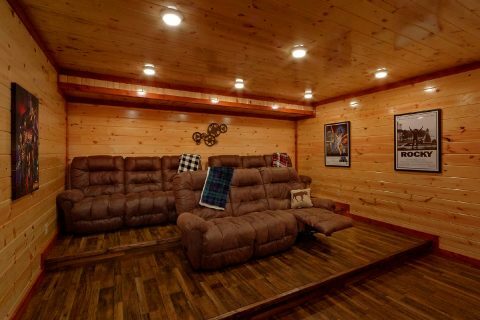 This floor is also home to your cabin's theater room where you can enjoy a fun movie night in comfort and style. 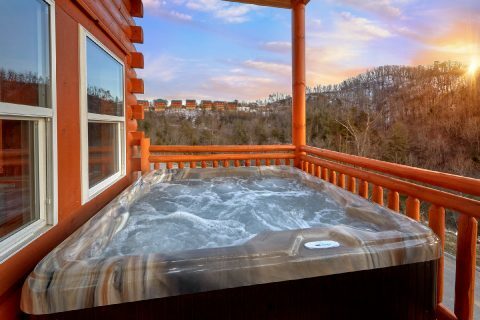 For even more relaxation, you can enjoy taking a soothing dip in your cabin's outdoor hot tub. 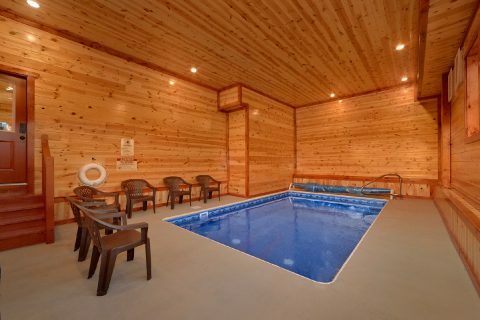 During the warm summer months, you can also use the outdoor resort swimming pool. 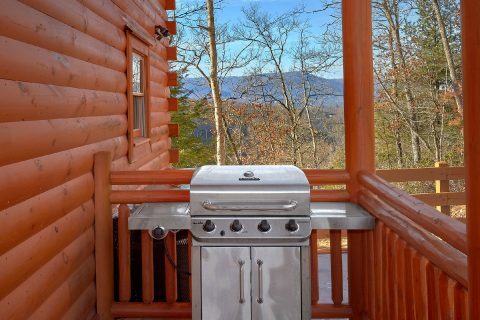 There's also an outdoor resort pavilion with picnic tables and an outdoor fireplace as well. 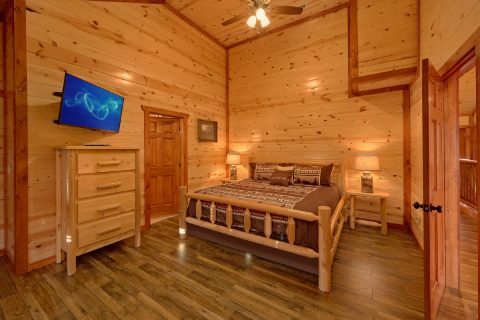 After a great day spent hiking in the national park or experiencing rides at Dollywood, you'll love getting a good night's rest in one of this cabin's 6 bedrooms. 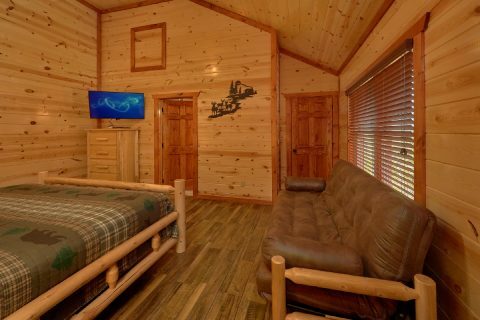 On the 2nd level, you'll find a king-size bedroom with a television, access to a full bathroom, and a futon for extra guests. 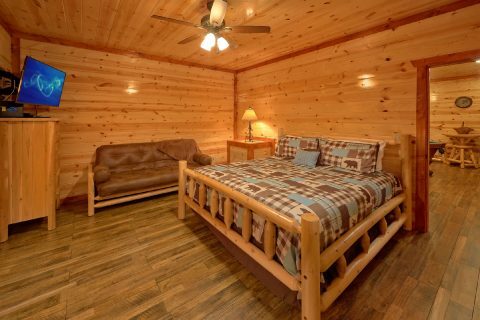 This floor is also home to a bedroom with 2 sets of twin bunk beds and access to a full bathroom. 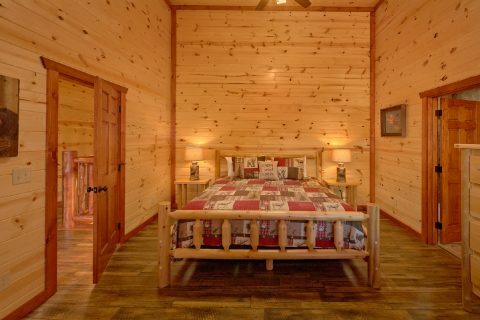 On the 3rd level, there are 4 more bedrooms. 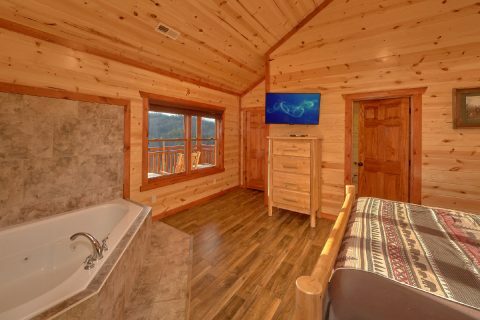 One bedroom features a king bed, a jacuzzi tub, television, full bathroom, and a nice mountain view. 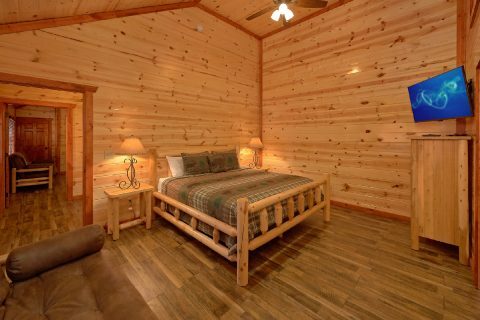 Two of these bedrooms provide a king bed with a television, a full bathroom, and a futon for extra guests. 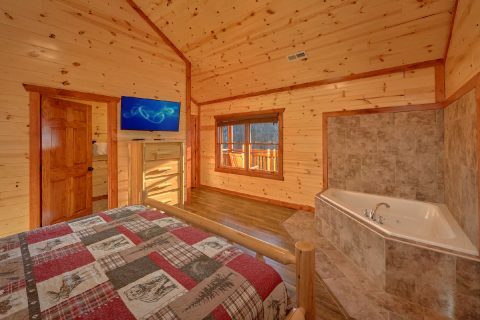 Lastly, there's a bedroom with a queen-size bed, a jacuzzi tub, a full bathroom, and a mountain view. 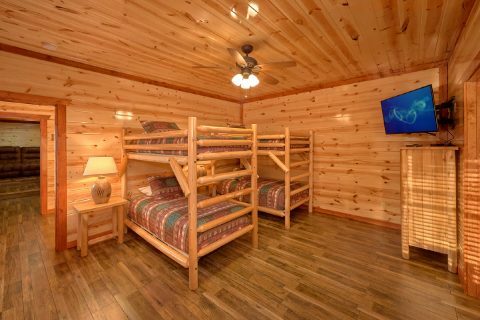 Altogether, "Majestic Mountain Splash" provides 4 bedrooms, 1 queen bedroom, a bedroom with 2 sets of twin bunk beds, and 3 futons, so this cabin can sleep up to 17 guests! 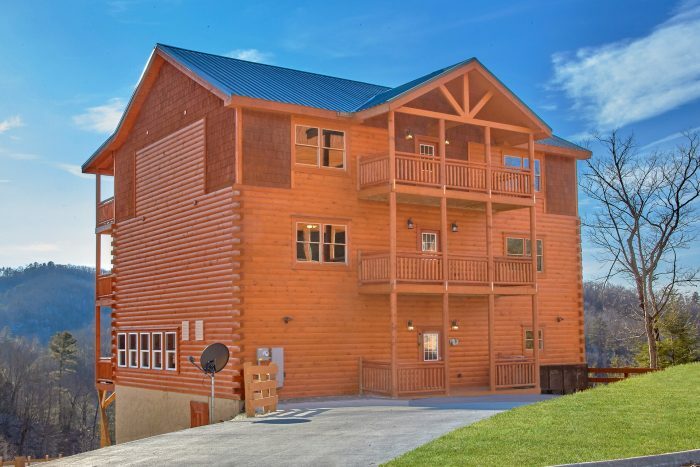 Lastly, this luxurious mountain lodge also comes complete with amenities like WiFi, a gas grill, and plenty of parking space to make your stay simple and carefree. 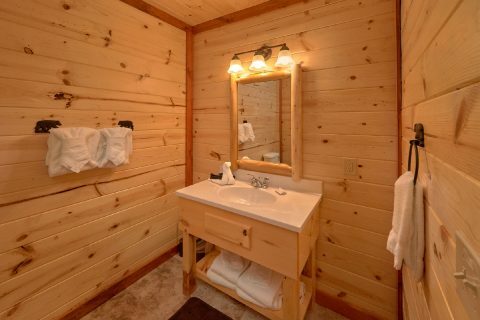 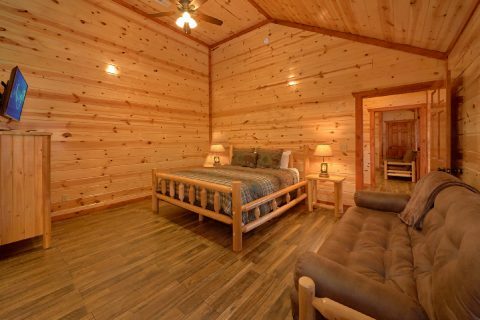 Best of all, you can book this premium 6 bedroom cabin in Pigeon Forge today with Cabins USA to save 15% on your nightly rate in the Smoky Mountains!